Keira Gillet’s 9 Inspirations for the Zaria Fierce Trilogy + GIVEAWAY! I am so excited to have Keira Gillet on the blog today! Keira is the author of the Zaria Fierce trilogy, which I have talked about quite a few times on the blog. I love having her here, and I think she has a lot of interesting things to share with us today. So, I turn it over to you Keira! Good day readers! 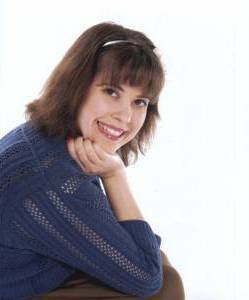 My name is Keira Gillett and I’m the author behind the Zaria Fierce Trilogy. Emily has been absolutely wonderful over the past few years as I’ve written it. 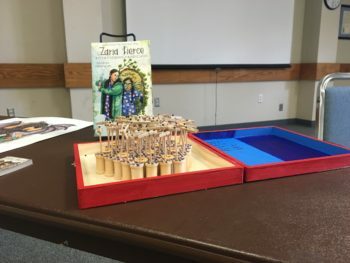 She invited me to talk about some things that inspired scenes in the Zaria Fierce Trilogy. I thought I would share three things for each book. 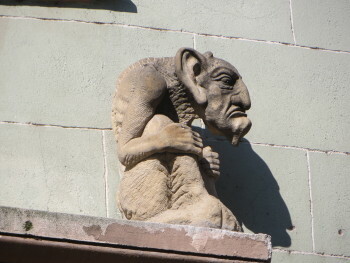 On a trip to Europe, just before beginning Zaria’s tale as we would all come to know it, I came across some trolls over a door lintel in Bratislava, Slovakia. The expression on this one inspired Olaf. 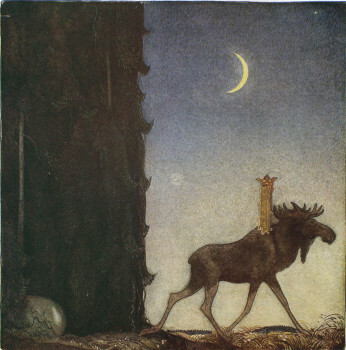 Once I knew Zaria would be set in Norway and that her antagonist would be a devious troll named Olaf, I began to look into John Bauer’s artwork. When I saw this piece, I knew I wanted Zaria to transverse the Norse landscape on a mysterious forest creature of her own. Zaria would meet Olaf in the same manner as the goats do in the folktale Three Billy Goats Gruff, but unlike the goats, Zaria wouldn’t escape unscathed from her encounter. 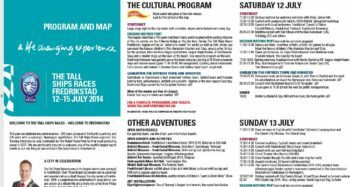 The Tall Ships Race is a real event and was actually held in Fredrikstad, Norway very recently. I watched videos and even stumbled upon the event brochure. I was wicked tempted to put Backstreet Boys into the story. Alas that little nugget didn’t make the cut. 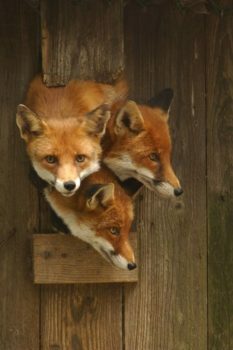 I ran across a picture of three foxes sticking their head through the same hole right around the time that I took the story to Niffleheim and that is why the fey could transform into foxes. I’m a huge fan of board games and I play regularly with friends all kinds of fabulous ones that you probably never heard of. I wanted to include one into the book so I invented my own! Here’s a picture of it with the book. 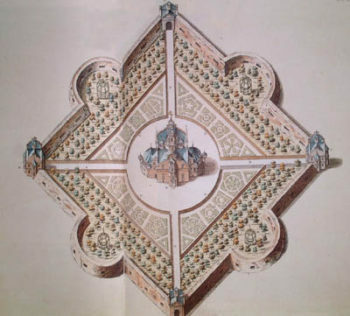 I came across a real location for an astronomy academy / castle, which had quatrefoil-shaped grounds. I was sold and quickly wrote that in for the Under Realm. A quatrefoil is one of my sorority’s symbols. The Gjallarbrú is a covered bridge in folklore with a gold roof. 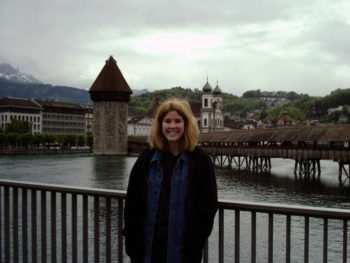 From my travels through Europe, I’ve actually crossed a delightful covered bridge in Lucerne, Switzerland. A lot of the descriptions for my bridge are pulled from my vacation photos. I listened to a lot of thematic music for the third book. Songs which said to me a battle is coming, a battle is coming, a battle is coming, beware, beware. You are welcome to peruse the playlist I listened to often while I wrote by going here. What things inspire you to create? I’d love to hear about them! Share in a comment below. Hector was right that the group wasn’t far from Malmdor. They reached the entrance before night fell, and in the gloomy dusk that slipped around them like a cloak, they reached the edge of the forest and stopped. Below them in a wide clearing was an abandoned quarry filled with water. The lake was nestled at the bottom of a deep, steep pit. Its deep blue water was smooth and glassy, protected from wind by the rocky walls and surrounding forest. Zaria could see the lakebed in the shallower areas. Something large swam in the center, too deep to see clearly. “What is that?” asked Filip, having spotted the creature at the same time. “Is it friendly?” worried Geirr. 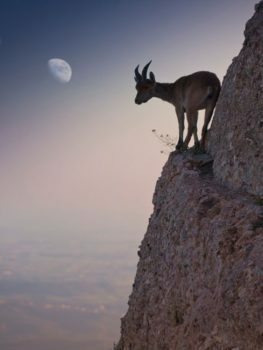 “Will we have to feed it to get by it? 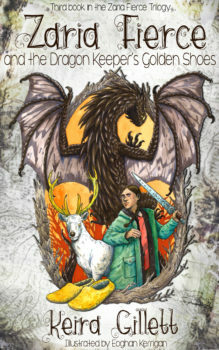 What does a water-wyvern eat?” Aleks asked, readjusting his backpack and bow. Zaria and her friends gasped as it breached the surface, blowing out a large stream of air. The water-wyvern was magnificent with a gray-and-white pattern. It had a seahorse face, with a long snout, and no ears. The top of its head bore a wavy crest that trailed down its neck. As the creature dove beneath the water, it flipped its body into the air. There were no scales anywhere on it, as far as she could see. Zaria half-expected a whale fluke, but its tail looked like an eel’s. The thing was massive, at least four times bigger than Norwick, and hideous. And now…CLICK HERE TO BE DIRECTED TO THE GIVEAWAY!! I have loved having you Keira! Thank you so much for coming on my blog again!